Turandot’s beauty is matched only by her cruelty. To her admirers, she offers a deadly game: solve three riddles and win her hand in marriage. Answer incorrectly and die by the executioner’s blade. As the latest suitor is beheaded before a stunned crowd, a stranger steps forward to accept the challenge, hiding a riddle of his own. 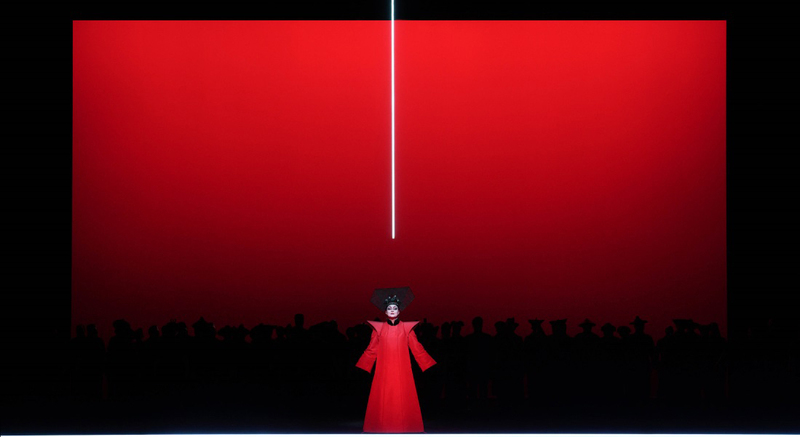 The most ambitious and dazzling opera of Puccini’s career is reimagined in a new production by legendary director Robert Wilson, “a towering figure in the world of experimental theater.” The New York Times. Wednesday, October 9 at 7:30 p.m.
Saturday, October 19 at 4:30 p.m.
Wednesday, October 23 at 7:30 p.m. 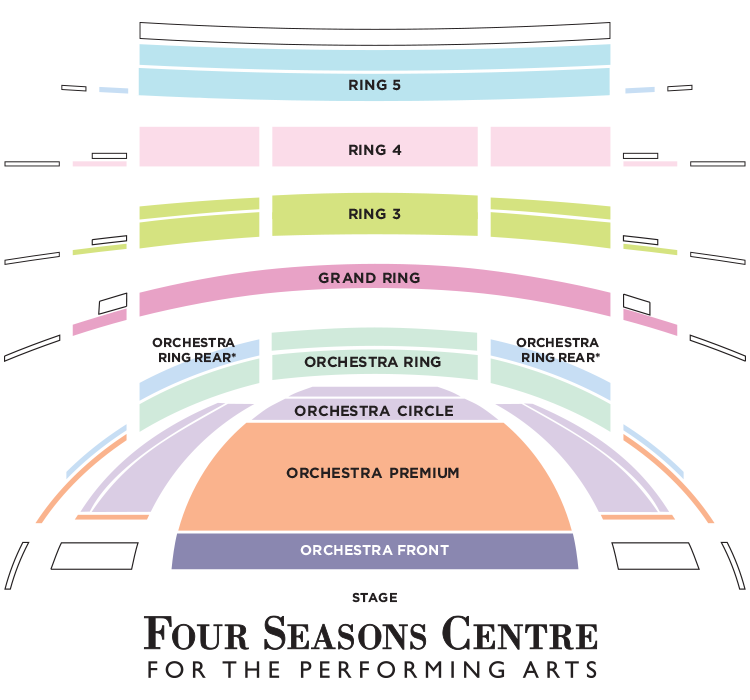 Performance time is approximately two hours and 55 minutes, including two intermissions. Avenging the cruel fate of an ancestor, Princess Turandot sets three riddles for any suitor looking to win her hand. If they answer incorrectly, they die. Upon seeing Turandot, Calaf, an exiled prince, immediately falls in love with her and demands a chance to solve the riddles. After solving all three riddles, Calaf offers his life if Turandot can discover his name by the next morning. 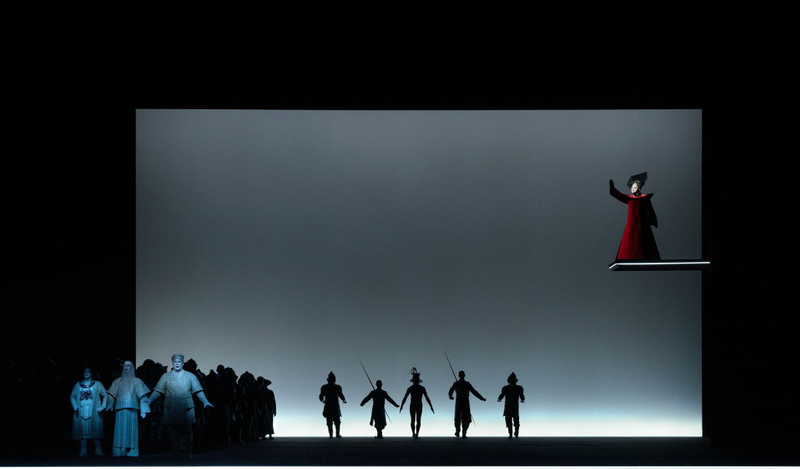 To find out his name, Turandot tortures the slave Liù, who loves Calaf — but Liù dies silent. Finally realizing what love really is, Turandot is transformed in character and gladly accepts Calaf: for “his name is love”. A Mandarin reads to a crowd an edict stating that any prince wishing to marry Princess Turandot must first answer three riddles. If he fails he will be executed. Her latest suitor, the Prince of Persia, has failed the test, and will be executed that evening. In the crowd, Calaf recognizes his long-lost father, Timur, the vanquished king of Tartary, who is cared for by the faithful slave-girl Liù. When the Prince of Persia is led in, Turandot orders the execution to proceed. Calaf is moved by the beauty of the unattainable princess. He decides that he will try the test himself, but three Imperial Ministers, Ping, Pang and Pong, attempt to dissuade him, as do Timur and Liù. Determined to win Turandot, he strikes the gong and calls her name. Ping, Pang and Pong review the endless cycle of executions they have witnessed since Turandot first issued her decree and hope that love will at last soften Turandot’s heart. The Emperor, tired of the needless deaths, vainly asks Calaf to reconsider his challenge. Turandot proclaims that she has devoted her life to vengeance against men because her ancestor, Princess Lou Ling, was murdered by a prince. She asks Calaf the questions, and he replies to all three riddles correctly. The princess begs her father not to give her to the strange man who has solved the riddles, and Calaf proposes another challenge: if Turandot can guess his name by morning, he will forfeit his life; if not, she must marry him. Turandot accepts these terms. Turandot proclaims that no one in Peking may sleep until the identity of the stranger has been discovered, and Ping, Pang and Pong try unsuccessfully to bribe Calaf to leave the city. A mob threatens Calaf and soldiers seize Timur and Liù. Liù insists that she alone knows the name of the stranger, but when tortured refuses to reveal it and commits suicide. Alson with Calaf, Turandot finally lets down her guard and melts into his arms. To the populace she announces that the stranger’s name is “Love,” and joyfully accepts him as her husband.